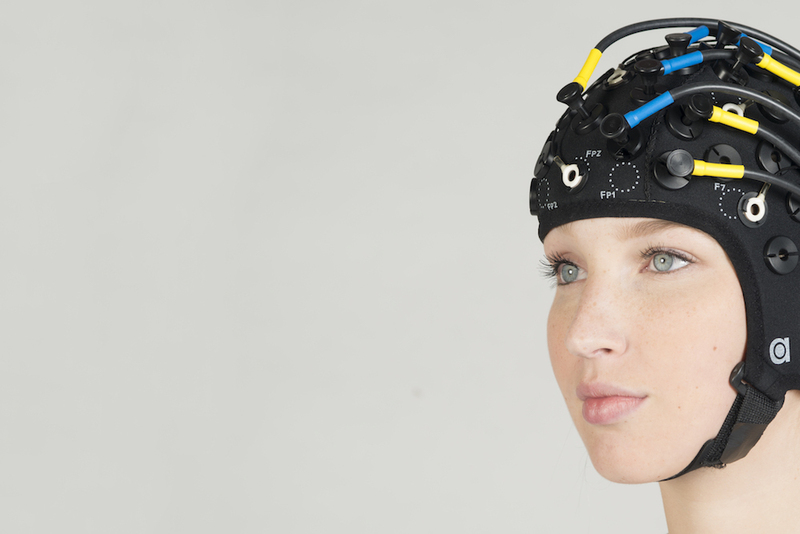 We offer a fully integrated fNIRS EEG package. Measure simultaneously electrical potentials in brain tissue and changes in brain tissue oxygenation and blood volume. Combined EEG/NIRS headcap and optode holders. Up to 112ch fNIRS and 128ch EEG for full head coverage. No interference with the EEG signal. Measure EEG and NIRS at the same spot. 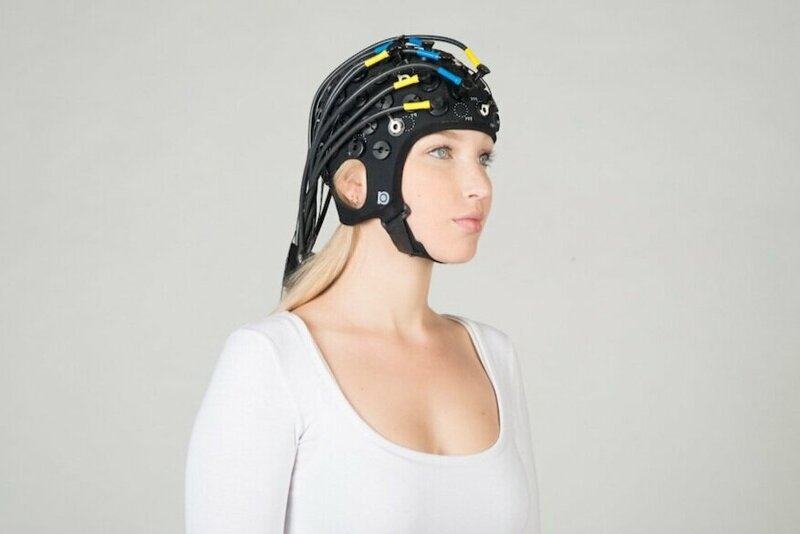 Combine the OxyMon, PortaLite, OctaMon or Brite with an EEG system. Superior EEG and NIRS data quality. Thank you for sending a request! We will back to you soon. The combination of EEG and NIRS offers complementary information about brain function, giving you the ability to measure both neural and hemodynamic activity simultaneously. With our new NIRS-EEG packages we went one step further than other companies in this market: we truly integrated the optode holders and EEG holder into one holder as well as the software. In this way, we can provide full head coverage and all data is integrated and synchronized within our proprietary recording software, Oxysoft. This enables you to conveniently measure EEG and NIRS with automatic event synchronization. Why combine fNIRS and EEG? EEG and fNIRS are complementary measuring techniques. EEG measures electrophysiological brain activation, so the electromagnetic field created when neurons in the brain are firing. With fNIRS, you measure the hemodynamic response, so the adjustment of oxygen in the blood when a brain region is active. By combining EEG and fNIRS, you, therefore, get a complete picture of brain activity: activation of neurons and energy demand of neurons. Moreover, they also have complementary spatial and temporal resolution. While EEG is a spatially imprecise recording technique due to volume conduction meaning that even activation several centimeters away is recorded by electrodes, NIRS measures very precisely right under the location of the sensors. Despite the spatial imprecision, EEG is a very useful technique as it records at a very high sample rate of up to several tens of Kilohertz. Most information is contained in the frequency band between 2 Hz and 100 Hz, so within up to 10ms. The hemodynamic response is a slower response, taking a few seconds to initiate and then smearing out over several seconds. Combining EEG and NIRS, therefore, makes it possible to watch the brain being active in all its facets, simultaneously in different regimes and on different timescales. Oxysoft is able to analyze your data or export it to a wide variety of toolboxes (e.g. HOMER2, NIRS-SPM). We can even provide setups for mobile NIRS-EEG, opening up the possibility to measure NIRS-EEG while the subject is moving freely. Our unique optode and electrode holders can measure both NIRS and EEG on the same spot. The NIRS-EEG packages were developed in close cooperation with TMSi. Please contact us so we can provide you with an optimal system for your experiments. Oxysoft is able to analyze your data or export it to a wide variety of toolboxes (e.g. HOMER2, NIRS-SPM, Fieldtrip, EEGLAB, Brainstorm). Anwar AR, Muthalib M, Perrey S, Galka A, Granert O, Wolff S, Heute U, DeuschlG, Raethjen J, Muthuraman M. Effective connectivity of cortical sensorimotor networks during finger movement tasks:A simultaneous fNIRS, fMRI, EEG study (2016, 29(5):645-660), doi: 10.1007 / S10548-016-0507-1). Blokland Y, Spyrou L, Thijssen D, Eijsvogels T, Colier W, Floor-Westerdijk M, Vlek R, Bruhn J, Farquhar J. Combined EEG-fNIRS decoding of motor attempt and imagery for brain switch control: an offline study in patients with tetraplegia. DOI 10.1109/TNSRE.2013.2292995, IEEE Transactions on Neural Systems and Rehabilitation Engineering. Artinis NIRS products are intended to be used for research applications only. Our products are not sold as Medical Device as defined in EU directive 93/42/EEC. Our products are not designed or intended to be used for diagnosis or treatment of disease. TMSI EEG systems are clinical devices.